1:24 a.m. — Police warned a teenager about being out after curfew. 2:24 a.m. — A cell phone and charger were found at Heise Park and turned over to police. 8:52 p.m. — An East Walnut Street resident reported an unwanted person on their property, who then left the area willingly. 2:10 a.m. — A report of a loud party was investigated in the 500 block of South Boston Street. The parties were warned to be more quiet. 8:45 a.m. — A report of juveniles suspected of shoplifting at Dollar General was investigated. 9:58 a.m. — A possible scam and threat was received by a business in the 200 block of South Riblet Street. 11:54 a.m. — A report of a man who reportedly stole donuts and iced coffee from Circle K was investigated. 1:54 p.m. — Officers assisted EMS with a child that had fallen in the 400 block of South Union Street. 2:05 p.m. — A domestic dispute was investigated in the 400 block of Libby Lane. 3:21 p.m. — A domestic dispute was investigated in the 500 block of Galion Arms. 5:26 p.m. — A report of a TV thrown over the bridge in the 300 block of North Market Street was taken. 7:21 p.m. — A report of an unruly juvenile in the 300 block of Grove Avenue was investigated. 7:24 p.m. — A North Market Street resident reported a stolen catalytic converter. 8:47 p.m. — Officers warned a couple of trespassing at Papa Johns after management at the store barred them from entering the business earlier in the day. 9:01 p.m. — A 50-year-old man was arrested for disorderly conduct on Sherry Lane. 9:58 p.m. — A report of an unruly juvenile was investigated in the 300 block of Grove Avenue. 12:34 a.m. — A report of a fight at Z Grogg was investigated. 9:24 p.m. — A Grove Avenue reported a phone scam to police. 12:23 p.m. — An employee of Dollar General reported two carts stolen from the business. 3:51 p.m. — A disturbance was investigated in the 800 block of South Market Street. 4:59 p.m. — A report of a man jumping into traffic was actually a man listening to his music and dancing on Public Square. 5:50 p.m. — A Hensley Avenue resident reported an air conditioner and air compression stolen. 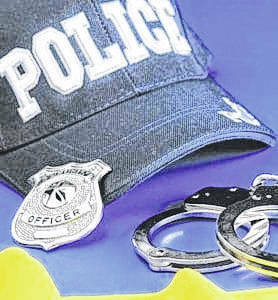 6:17 a.m. — A 50-year-old Galion, was arrested in the 600 block of Harding Way East is accused of operating a vehicle while under the influence. 8:42 p.m. — A report of an unruly juvenile was investigated in the 200 block of East Church Street. 10:10 p.m. — A man was arrested for domestic dispute in the 300 block of Dawsett Avenue. 10:14 p.m. — A report of unruly juveniles at South Park was investigated.